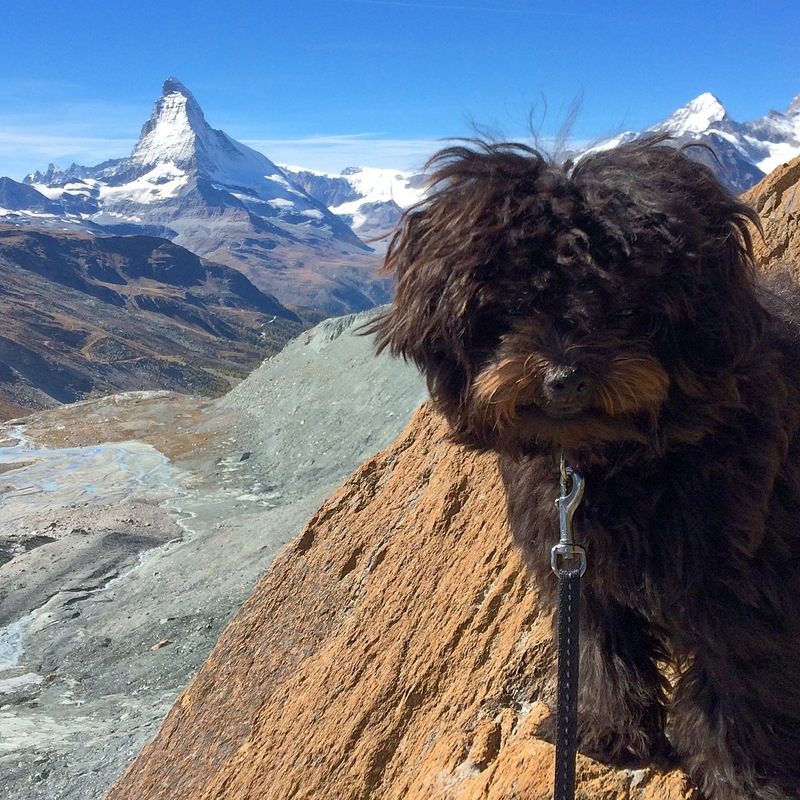 By far the most exciting development in our household since moving to Switzerland hasn’t been all the travel opportunities or easy access to chocolate but, rather, the addition of a fifth member to the family – tiny and adorable “Coelle” – our (relatively) new dog, who joined us last February. Back in Toronto in 2012, Kathryn and I were finalizing the terms of our move with our two children. Facing tough opponents on the other side of the table, we had already been forced to make a number of concessions (e.g. allowances paid in Swiss Francs, holidays in Italy, unlimited supplies of chocolate). 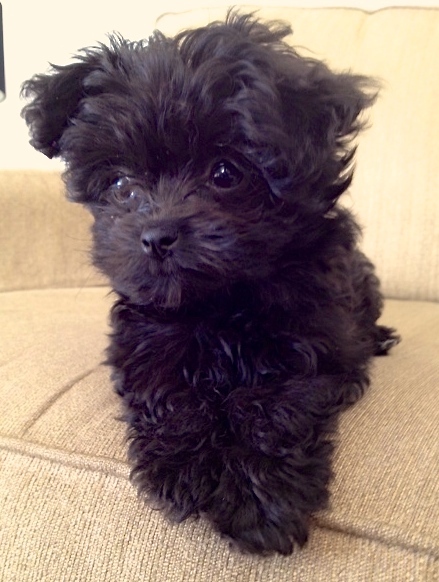 Desperate to close the deal during tense 11th hour discussions, we blurted out: “Oh, and we’ll get you a puppy!”. As two canine neophytes who had grown up with either cats, fish and gerbils (Graham) or no pets at all (Kathryn), we both quietly hoped that that desperate offer would be forgotten in the excitement of living in Europe. Not a chance! 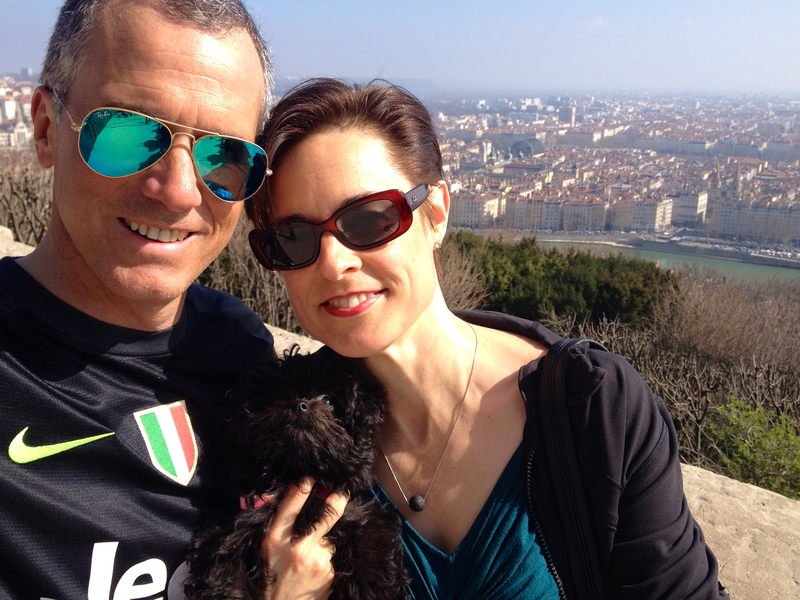 Both kids filed that rash offer away in their memory-banks and, once we were in Switzerland, proceeded to remind us of that unfulfilled promise on an almost weekly basis. And we are so glad that they did! Coelle has rapidly become (by unanimous vote) both the cutest and most adored member of the family. 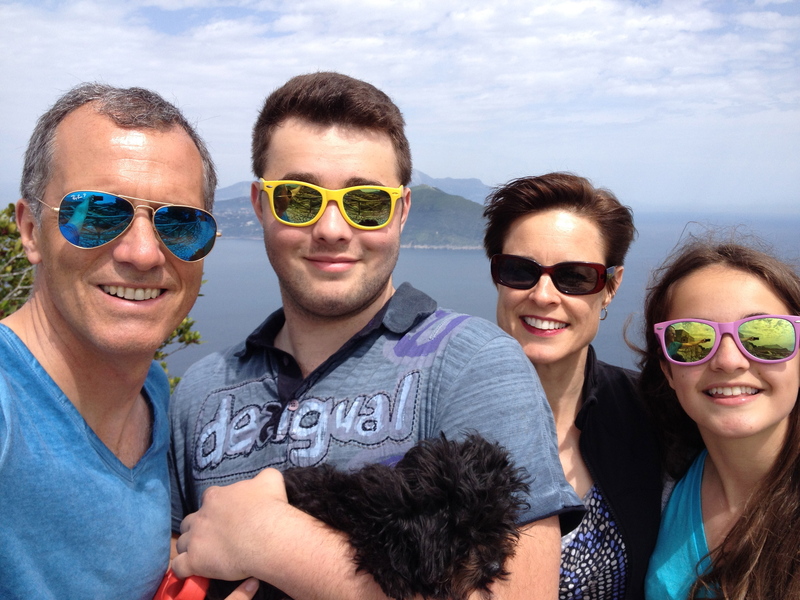 Coelle and the family in Capri last April. 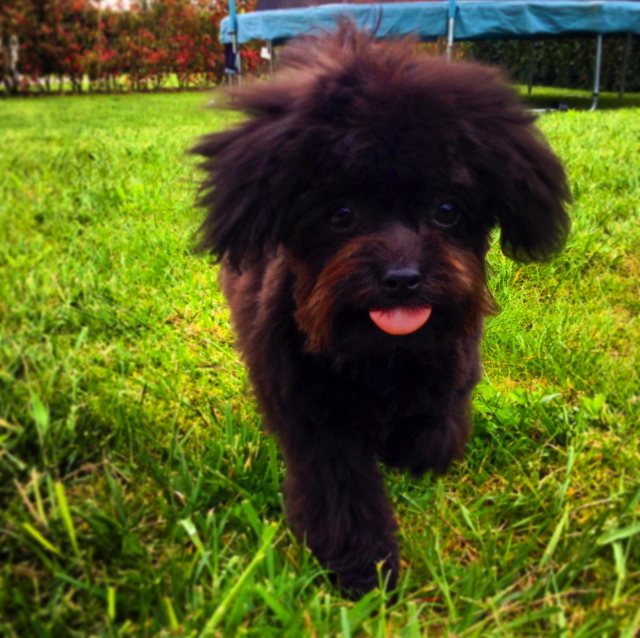 Coelle is a Bolonka Zwetna, which is a fairly rare breed of small lapdog with origins in France and Russia, and which is believed to be related to the Bichons and/or Bolognese breeds. Popular amongst the Russian nobility in the 19th century, the breed had almost disappeared by the end of WWII before it began to be nurtured again by breeders in the Soviet Union and elsewhere. This explains the Russian name, which means, literally, “multi-coloured Bolognese,” which refers to the multi-coloured, patchwork coats that some Bolonkas have. We were drawn to the breed’s typical characteristics, which include being: affectionate and good with children; playful and energetic; easy to train; non-shedding & hypoallergenic; and small & easy to transport. They are also described as an excellent choice for first-time dog-owners (like us). After spending the fall of 2013 researching and contacting Bolonka breeders in Switzerland (of which there are a couple of dozen, mostly in the German-speaking part), we established a relationship with a breeder in Wetzikon, just outside of Zurich, who was expecting a litter in December. Then the waiting began, first for the birth of the litter and, then, for the day (9 weeks later) when we could bring home a puppy! 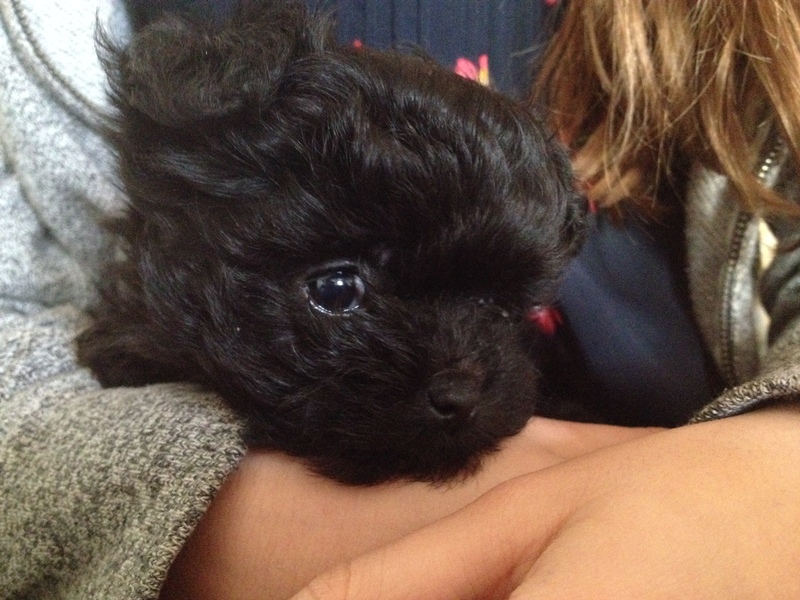 Coelle was born December 8, 2013 into a litter with 3 brothers. After two visits with her at the breeders in January, we finally brought Coelle home in mid-February. 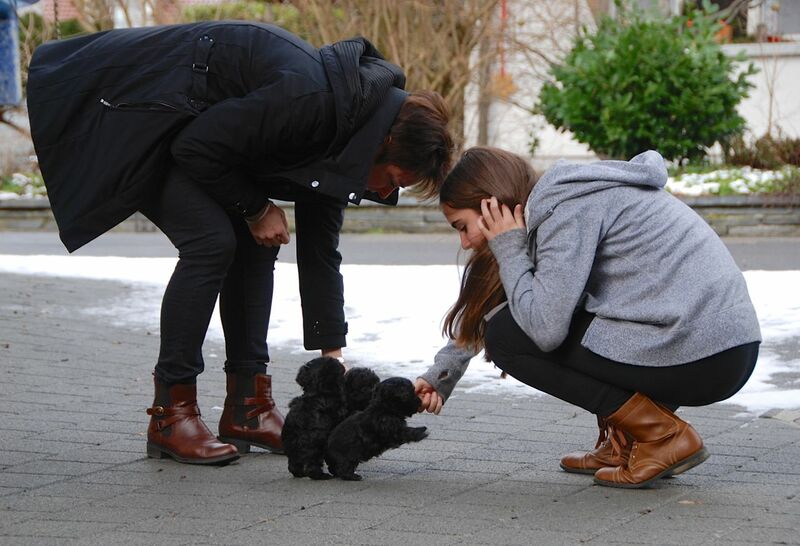 First visit with the breeder near Zurich. Tempted to take the whole litter! Coelle, at about 6 weeks, during one of our visits at the breeder’s. A brief word about the name “Coelle” (pronounced Co-elle). Breeders in Switzerland, and perhaps elsewhere, assign letters to identify each litter that their dogs have (Litter A, B, C etc). Upon being born, the puppies from each litter are assigned a name beginning with the letter assigned to the litter. 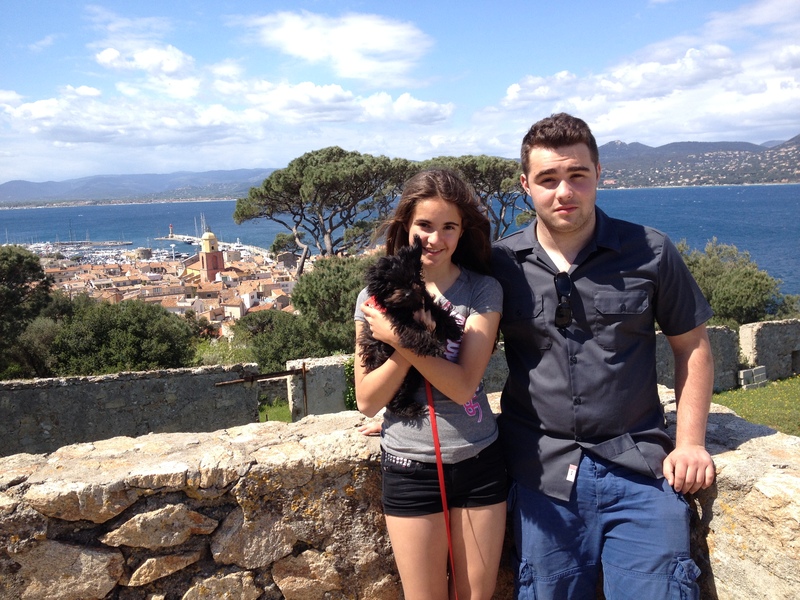 Hence, our puppy was born into Litter C, and was given the name Coelle (her brothers were: Cicero, Caetan, and Calisto). We discussed changing Coelle’s name to something of our own choosing, but it quickly became apparent that agreeing on a name would be challenging, and we all agreed that we thought that Coelle was a nice French name for our girl. 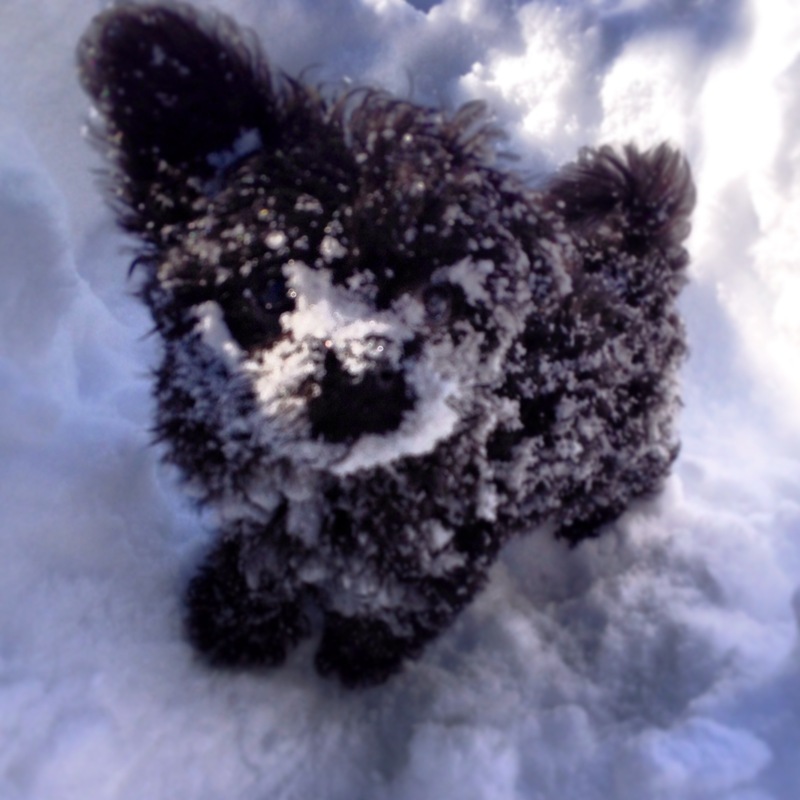 Coelle (at 10 weeks), enjoying the powder conditions in Verbier. The funny thing is, when we began introducing her to our French friends, they would repeat the name while looking at us quizzically. After this happened a few times were came to the conclusion that Coelle was not the pretty French girl’s name that we thought but, in fact, a made-up name. It shows up in Google searches as an obscure French surname at best. Oh well, we love it anyway and Coelle she has remained. 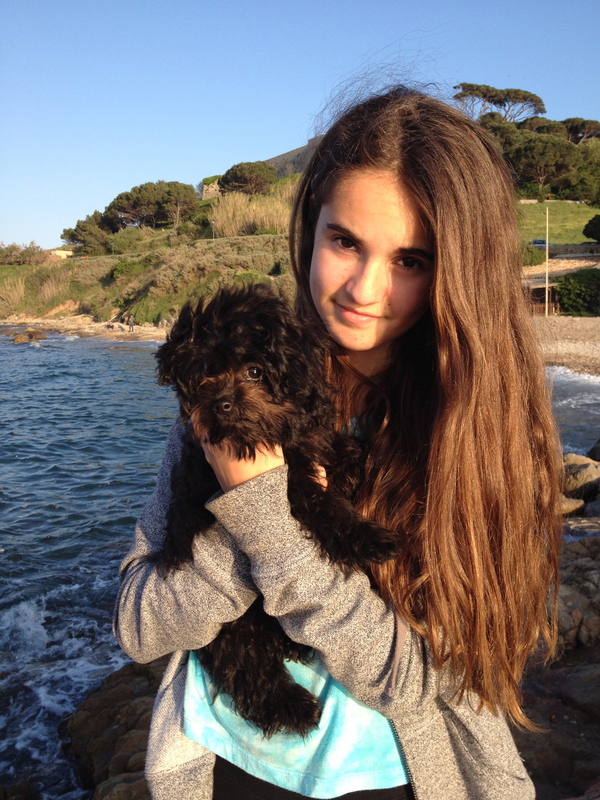 Emma with Coelle in St. Tropez, France. Now, Coelle was an instant hit with the whole family once we brought her home. We couldn’t believe how tiny and adorable she was! We all spent the next few weeks bonding with her through long play sessions and even longer naps. Graham, in particular, quickly got used to three naps a day with Coelle curled up on his chest, and he was soon her surrogate “Mom”. As well, we all learned quickly to keep an eye out for her at our feet, as she had a habit of getting stepped on. Within weeks her full name had become “Coelle Underfoot”! In terms of temperment and behaviour she has been true to her breed. She is an incredibly affectionate dog who greets every visitor by ferociously wagging her tail, rubbing up against their legs in a cat-like way, and thoroughly licking their faces if given the chance to do so. Family members are treated to the same, whether they have been absent from the room for five minutes or five days! 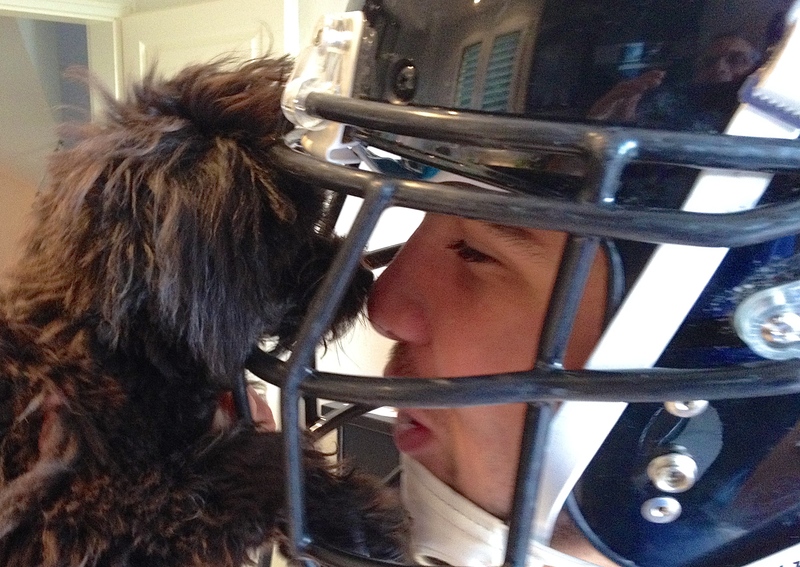 Coelle, trying to give Lachlan a facewash after football practice. She seems content to adjust her activity and energy level to ours, so she is as happy to go for a 2 hour hike as have a 2 hour nap. She is also, thankfully, fairly self-sufficient and self-entertaining, so she copes well with being left alone for a few hours here and there, happy to gnaw on a toy (not the furniture, thankfully), or just sleep in her “basket” (our winter mitt and hat box). 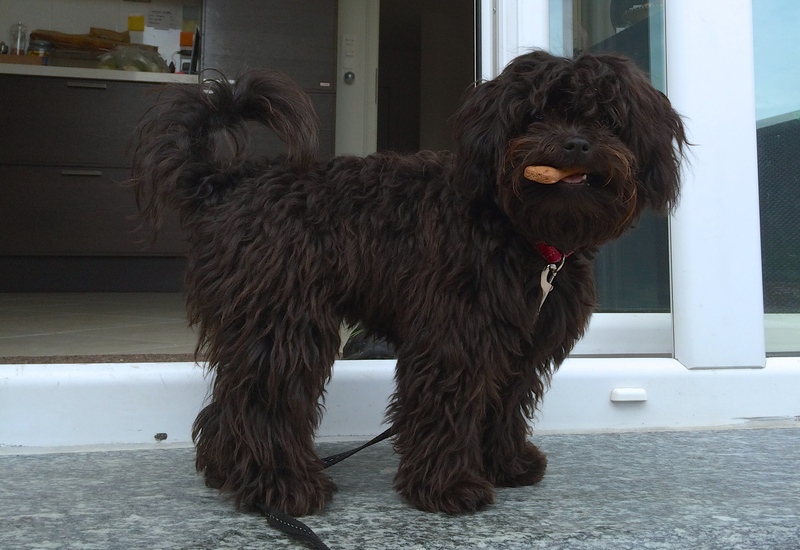 Mind you, don’t leave any socks or favourite shoes lying around, as she loves to sink her teeth into these as well. 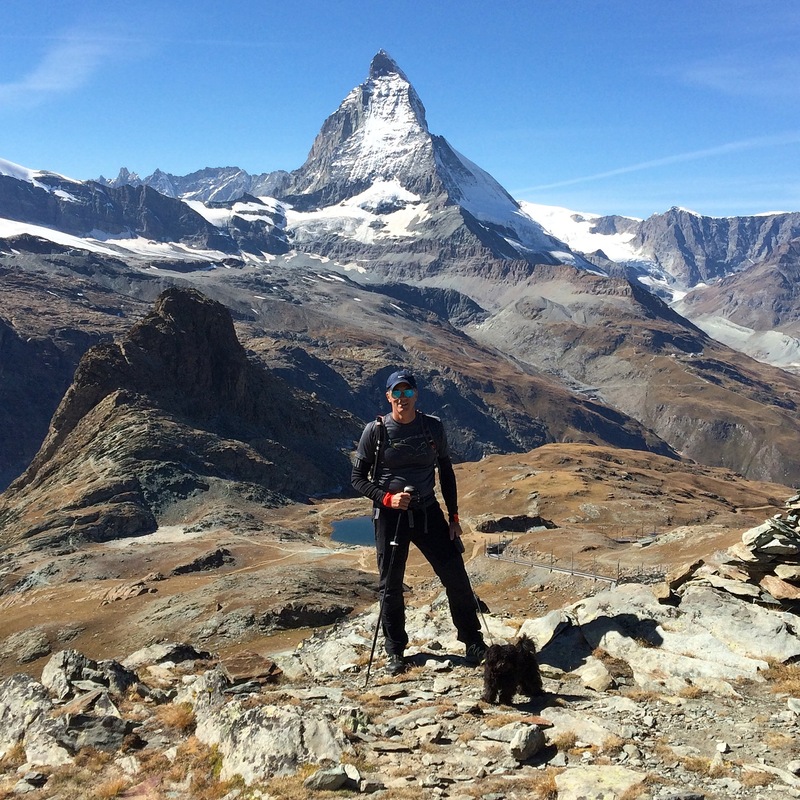 Coelle and Graham did many hikes and trail-runs together this fall, including this one in Zermatt. 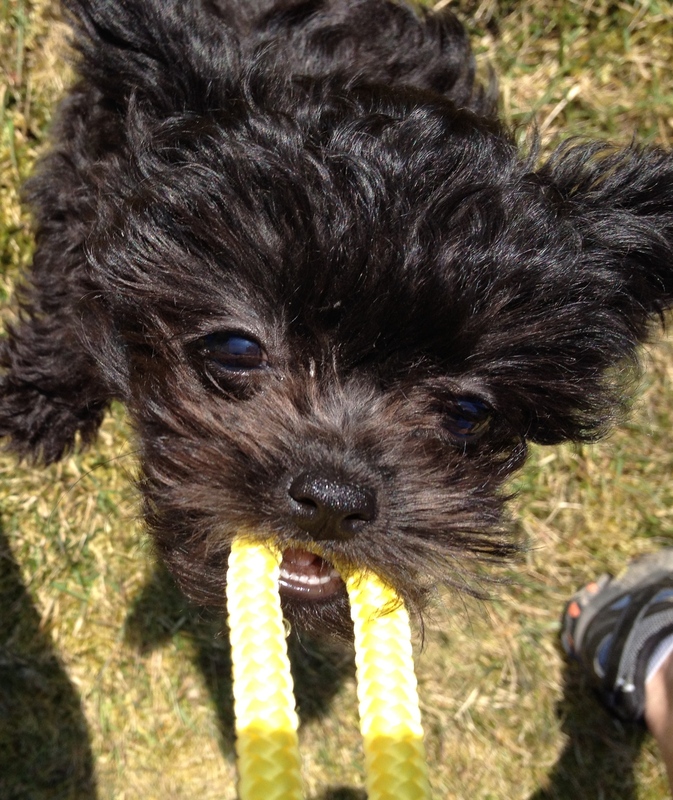 Now, the breeder did describe her as a bit of a trouble-making “sauvage” whom he would not keep himself, but we only see this side of her when she gets ahold of her rubber chicken toy, which she proceeds to throttle and thrash while holding in her clenched teeth! The frightful sounds emanating from her recall the Tasmanian-Devil character from the Bugs Bunny cartoons (see video below). For a nine month old dog Coelle is pretty well-traveled already. Among her adventures so far have been: enjoying the powder snow in Verbier; walking the streets of Lyon; people-watching in St Tropez; shoe-shopping in Nice; licking the foam off Graham’s morning cappucino in Positano; climbing to the top of Emperor Augustus’ palace in Capri; a puppy-playdate in Florence; a girls’ weekend in Milan (with Kathryn, Emma and Chloe); shopping in Zurich; touring the vineyards and wine cellars of Burgundy; flying to Toronto and spending a week in Canadian cottage country; checking out the markets in Aix-en-Provence; and trail-running under the Matterhorn. Our dog has more passport stamps than your average 60 year old! 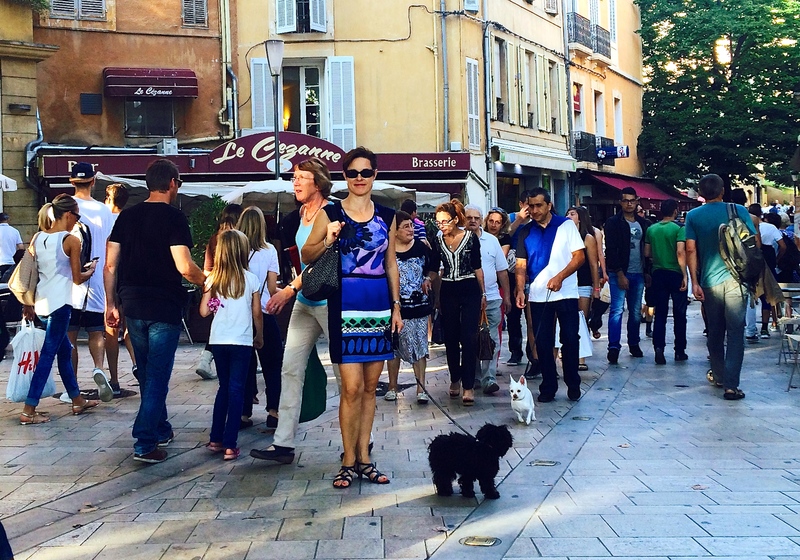 We love travelling in Europe with Coelle, especially in France, where the whole country is in love with dogs and they are welcome practically anywhere, including hotels and restaurants (“and what can we get for la petite chiene monsieur?”). 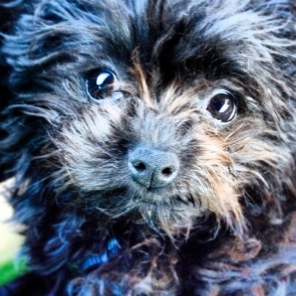 If you happen to see some guy feeding foie gras to a little black dog sitting on his lap in Paris, it’s probably me. No apologies. 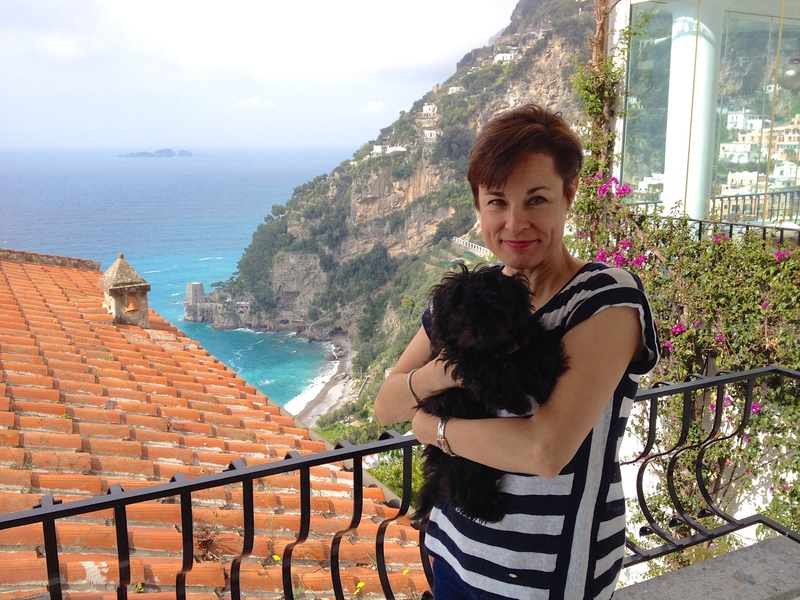 Enjoying the view in Positano. 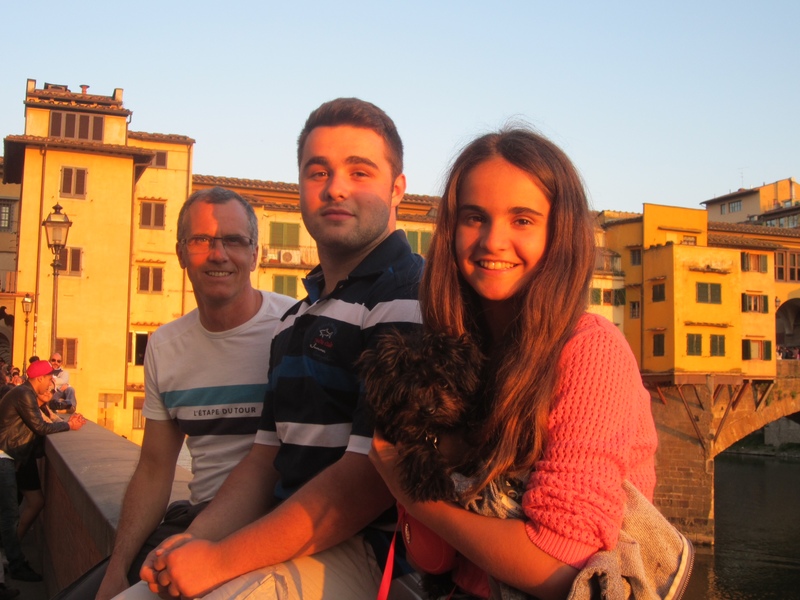 On the Ponte Vecchio in Florence. 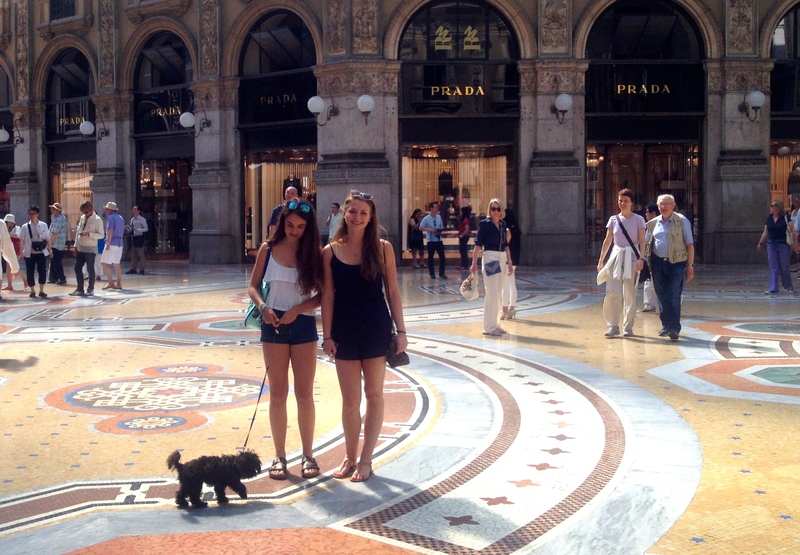 Checking out the shops in Milan. 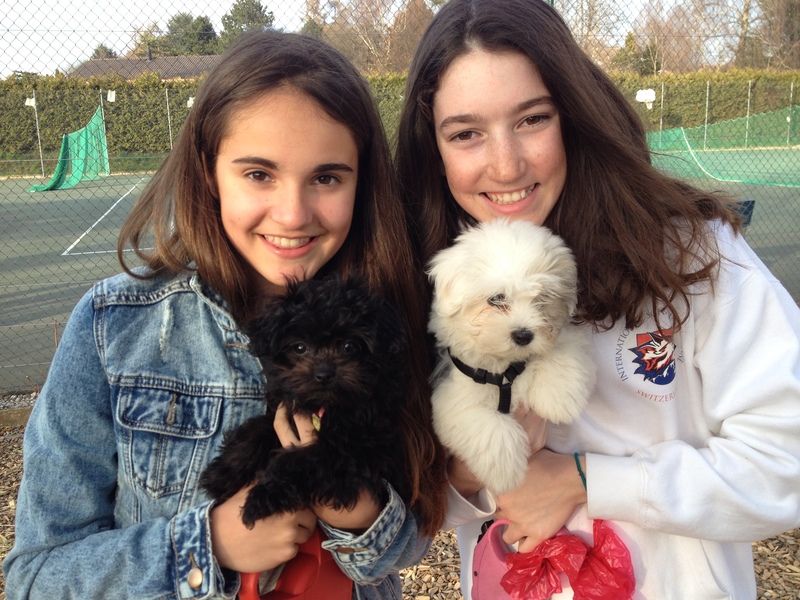 Coelle’s best friend is a fluffy little white Coton named “Izzie,” who was born just three weeks after her. Izzie belongs to our friends the Trahan family, and the two dogs love to get together for puppy playdates (seriously, I kid you not, they even had one in Florence!). 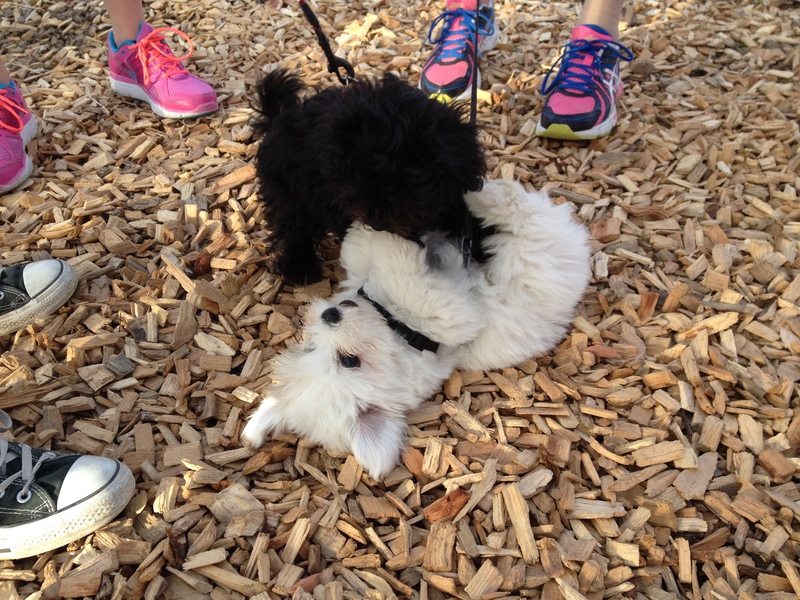 Coelle and Izzie love to frolic and wrestle non-stop. 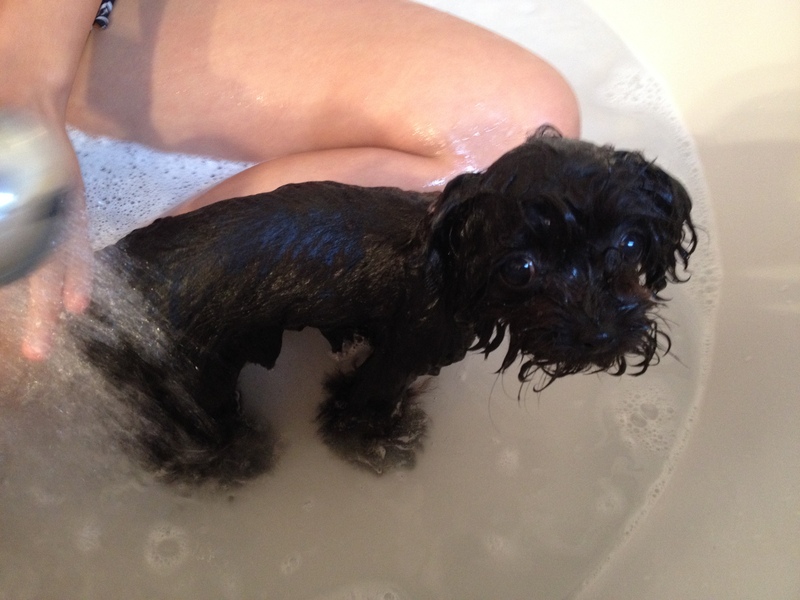 Imagine two puppie, one black and one white, in a tumble dryer and you get the picture. Coelle and Izzie at play. Coelle and Izzie, with Emma and Hadley. 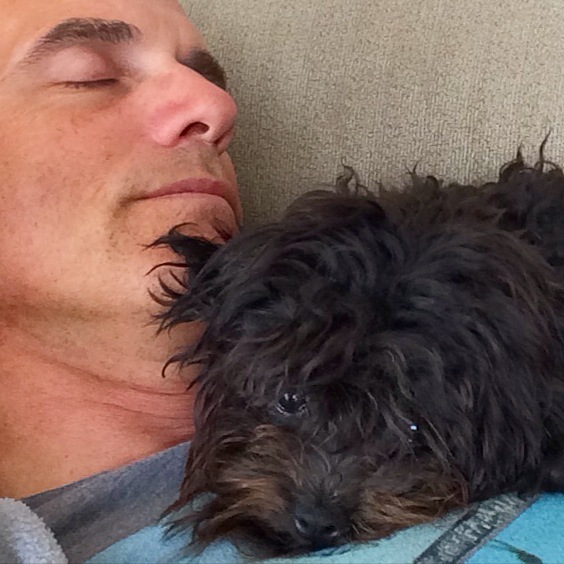 Coelle has brought such joy and love to our family. For the kids, she’s a new playmate and companion who brings a smile to their faces even on their grumpiest school mornings. For Kathryn and I, it has been a few years since we’ve received such enthusiastic greetings when they come through the front door, and with the Emma and Lachlan more and more focused on activities outside the home, Coelle is good company to have around. As we prepare for the empty nest in a few more years, it’s nice to know there will still be a child around to give and receive love once her siblings have flown the coop. OMG…I have spent time with Coelle and Know how special she is, but this still blows me away. She is just the cutest!!! Scaring me, however, running on the mountain top. Only my Bro man! !